Lifetime Essential Chair and Cart Combo Set- Features a blow-molded seat and back (white granite) with a steel folding frame (gray). 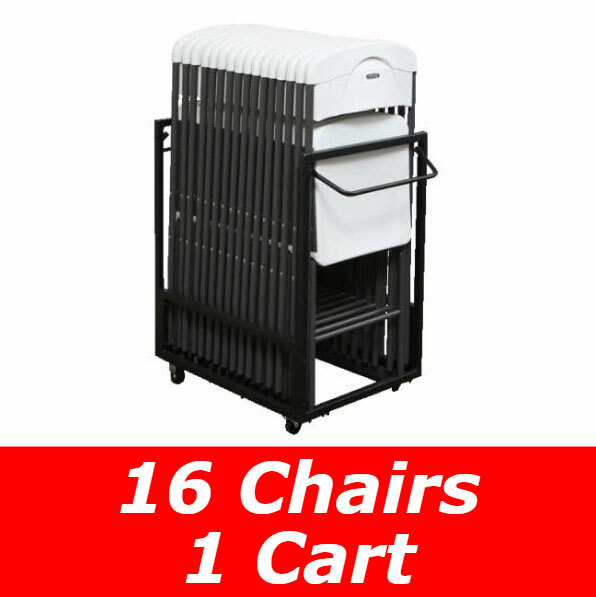 Consists of one 16-pack of Essential chairs (84016) and 1 chair cart (80279). Features a blow-molded seat and back (white granite) with a steel folding frame (gray). Comes in a 16-pack with a 1-year limited warranty. 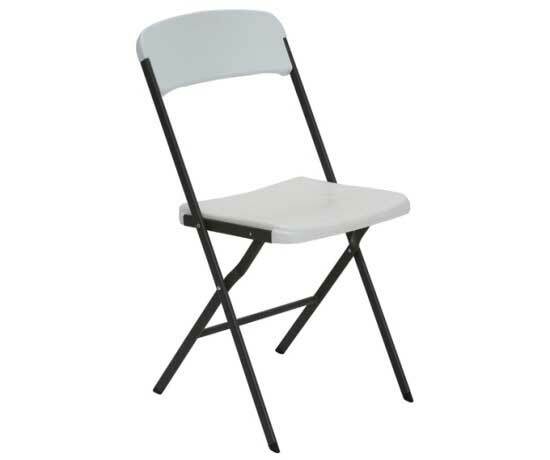 Lifetime Contemporary Folding Chairs are made of high-impact polyethylene, contoured for comfort, and designed for durability. The Powder-coated tubing increases strength and stability. 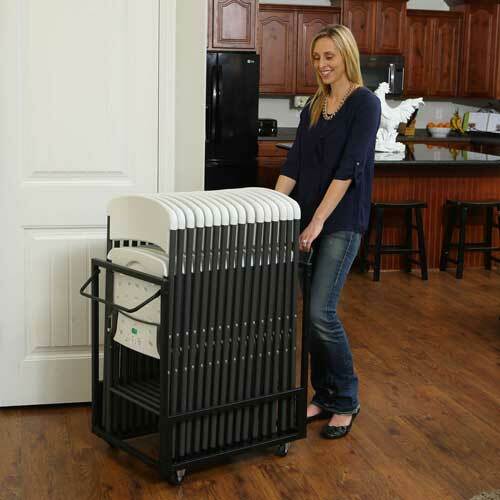 Lifetime Folding Chairs are lightweight, easy to clean and can be used indoor or out. Perfect for home or office use, Lifetime chairs are idea for your next meeting, event or family gathering. 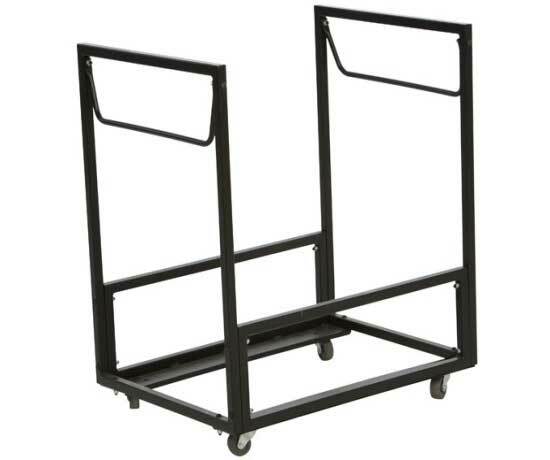 The Lifetime Essential Chair Cart is constructed of heavy-duty powder-coated steel (gray) with caster wheels. 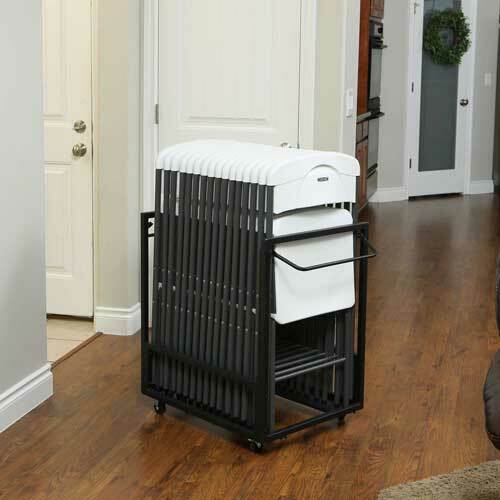 The compact design holds up to 8 Lifetime Folding Chairs. 1-year limited warranty. Q: Q: Will this work with padded folding chairs? A: This is meant for Lifetime Folding chairs, but it should work with other brands as long as they are just about 19” wide. 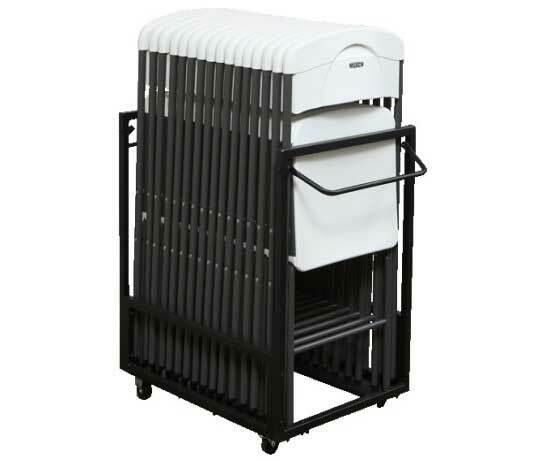 Q: Will this hold 8 of the Larger commercial Lifetime folding chairs? A: Yes, this will hold 8 of the Lifetime commercial folding chairs, or 16 of the Lifetime contemporary folding chairs. Dimensions: 40" x 19" x 7"